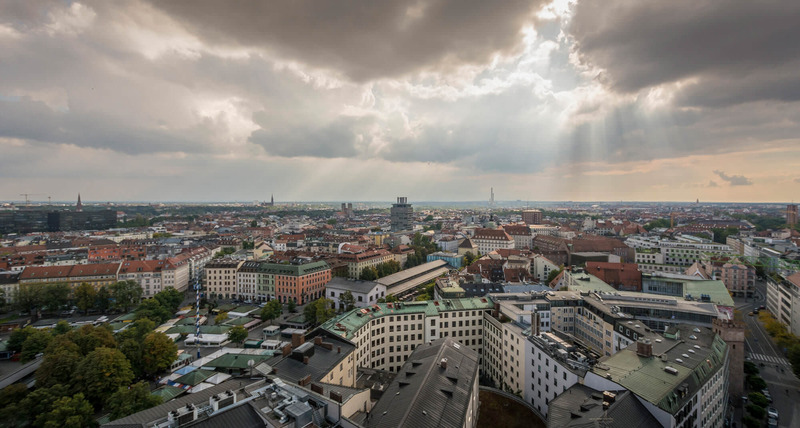 After five years of living the expat life in Munich (Germany) we often feel we still haven’t seen enough of the city and it is time to change that. Sure, Munich turns into a Christmas fairytale town in winter and it’s of course famous all around the world for its original Oktoberfest but there is more to it beyond this icon of the beer drinking culture. With this post we want to show you around our backyard and rediscover together with you, some of our favourite spots in town. This time we are going to get a little help from the TripScout app in the process, not for planning but for learning more about every spot around town that we stop at with its location audio guides. The TripScout app you said? Yes, TripScout is a travel and touring app for both Android and Apple devices with more than 60 city/country guides available right now and more coming up! Heading to Austin (Texas)? They have the city guide. A weekend in Barcelona (Spain)? No problem. Traveling to Sydney (Australia)? They have you covered too. Athens (Greece), Beijing (China), Cairo (Egypt), Cape Town (South Africa), Dubai (UAE), Dublin (Ireland),… too many to list them all here! And of course Munich, along with a few other German cities. HEADS UP! Want to experience TripScout FOR FREE? Keep reading to find an exclusive offer! The first question that comes to your mind when in Munich (or in any other town you visit really) is where to start from. You want to see and experience as much as you can during your time in the city and for that, the TripScout app really comes in handy. A quick look at its offline map view will tell you where most of the points of interests are. That’s where you should head to first. In Munich mostly everything you want to focus on is to the north of the river Isar. 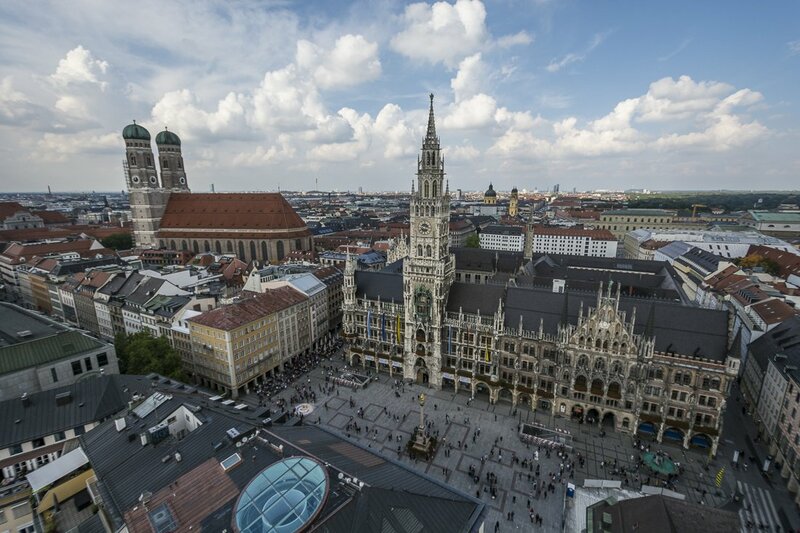 If you are into history, the old town is for you and Marienplatz would be your best starting point. 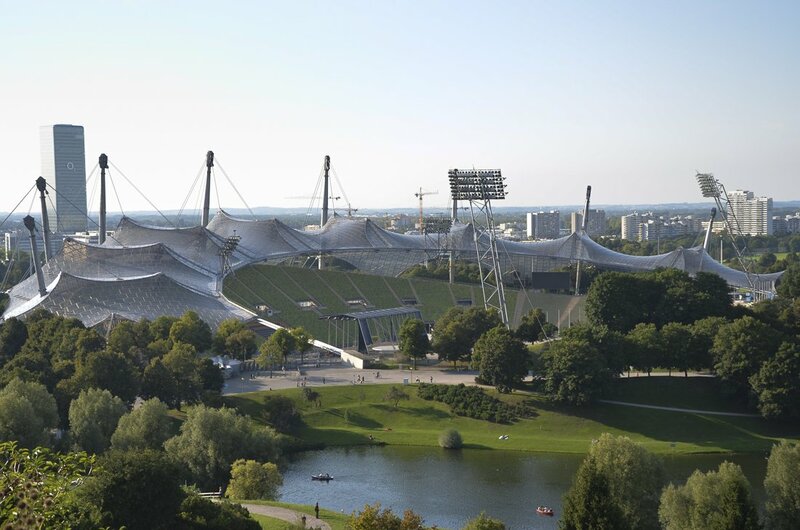 If you are more into sports, you do not want to miss Olympiapark or a tour around the Allianz Arena Munich Stadium. Do you want to experience the German beer culture? Then any of the outdoor beer gardens in the TripScout app will hit the spot in summer, and the Hofbräuhaus beer hall in winter, dubbed the World’s most famous tavern (and of course with its dedicated audio guide in TripScout). And if you share our passion for photography you will want to scout all over the place for the best shots. 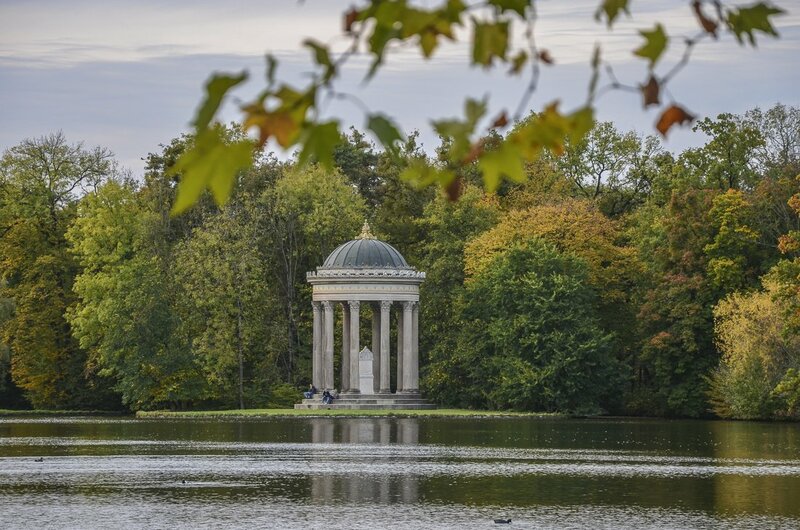 Whatever your plans in Munich, you’ll love our favourite spots in town, and I am sure TripScout will help you fill the gaps wherever and whenever you need. 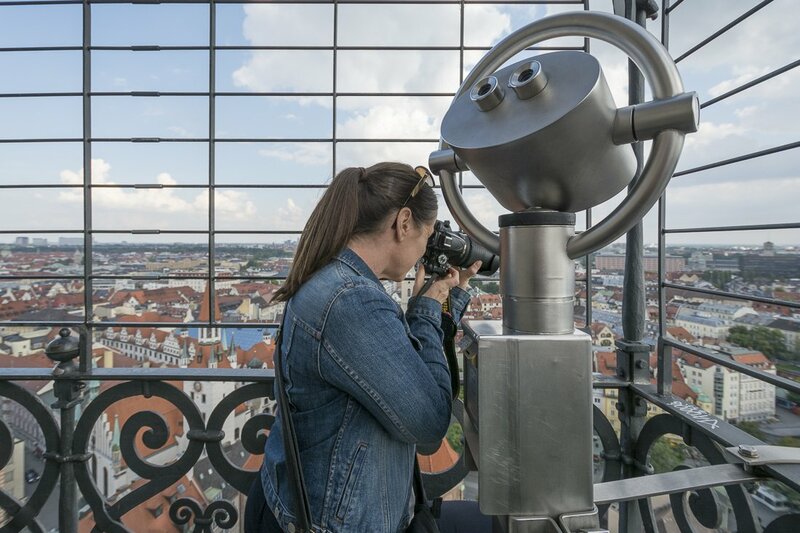 On a clear day, you will get the best views of the Alps from the bell tower of Peterskirche (St. Peter’s Church), just a few steps south of Marienplatz. This is also the place to be for the best views of the Neues Rathaus (New Town Hall) and the Frauenkirche (Cathedral of Our Dear Lady). Well worth the €3 entrance fee. Once down the 299 steps of the bell tower, if you’re up for it, the audio guide of TripScout at this point will give you exceptional insights to the history of this church which is considered the origin of Munich. 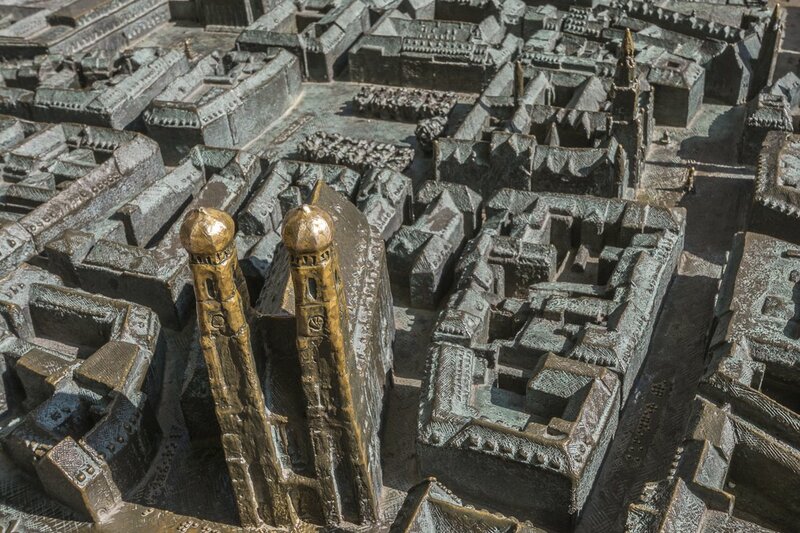 On a corner in Frauenplatz (east of Frauenkirche), you’ll find a tiny brass model of the old town. 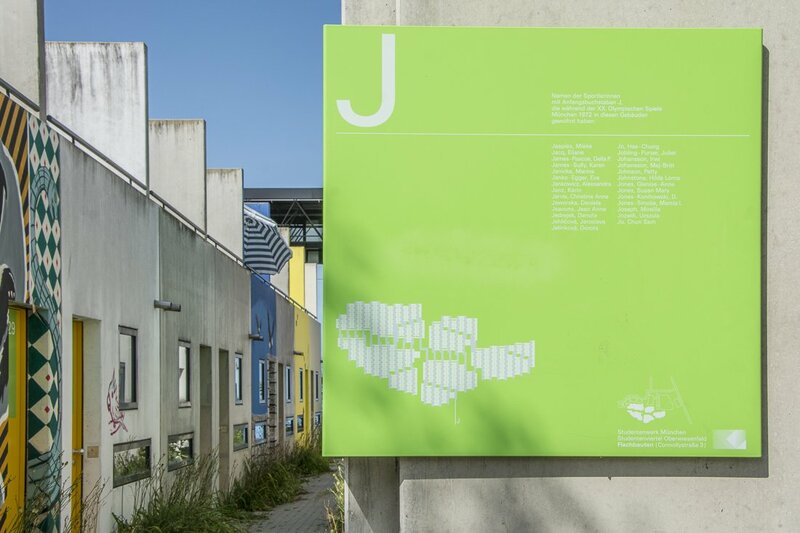 This little city model might come across as not more than a mere curiosity but the truth is, it serves a very practical purpose. This 3D map and its Braille writing is the only way for visually impaired people to make sense out of the whole old town layout. Also, it’s an excellent standpoint to realise how many towers all over the city centre made it through WWII during the ally bombings (the twin bell towers of the nearby cathedral and the front tower of the Neues Rathaus among them). In fact, these landmarks were respected and used by the bomber pilots to navigate in their missions. And you can’t come to this point without visiting the cathedral itself. Use the TripScout audio guide to know more about its history, a legend involving a mysterious black footprint and a couple of curiosities that surprised us! I wouldn’t say this is one of our favourite spots in Munich but it’s too weird not to mention it here. 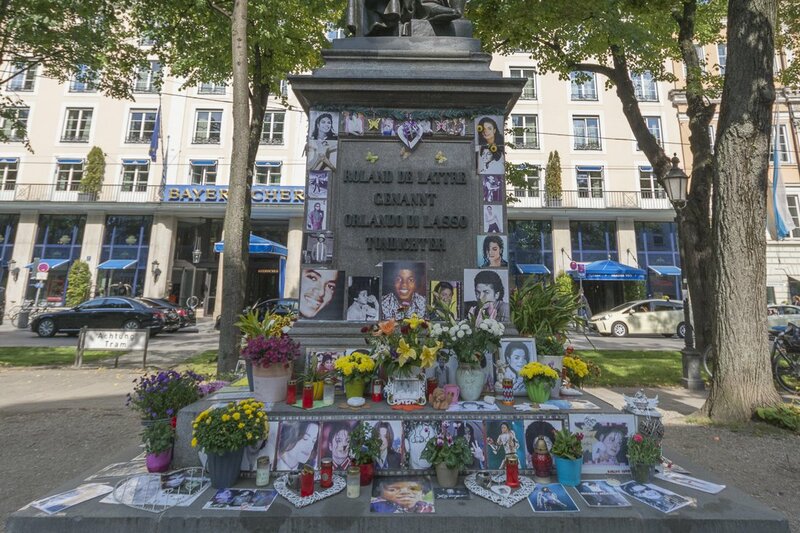 In 2009, after Michael Jackson suddenly passed away, German fans of the pop icon decorated the base of a commemorative statue in front of the luxurious Bayerischer Hof Hotel (a short walk north of Frauenkirche) with pictures and merchandising. This controversial makeshift shrine has been cleaned up and resurrected again since then. If not a fan, you can always enter the Bayerischer Hof Hotel and walk to its gallery bar to admire the 1839 original hall of mirrors (the only room of the hotel that survived WWII without a scratch). 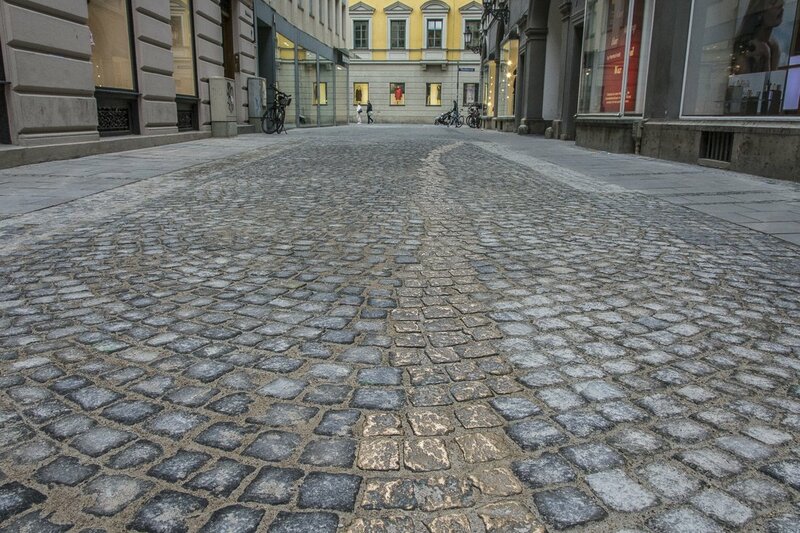 Also, go and spend some time at the nearby Fünf Höfe upscale shopping mall or learn the story behind the “Avoiders’ Alley” (Drückerbergergasse) with the TripScout audio guide available at this point. 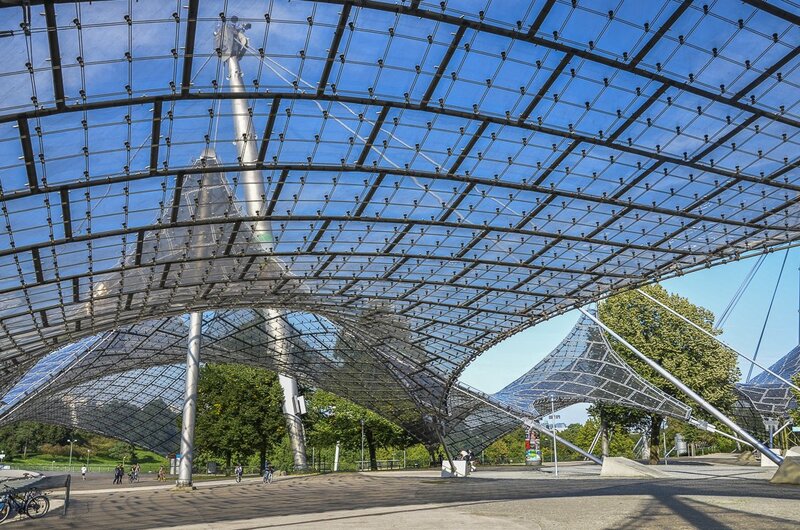 When you are ready to leave the Old Town, a short tram ride will take you to Olympiapark, the grounds of the Summer Olympic games of 1972. 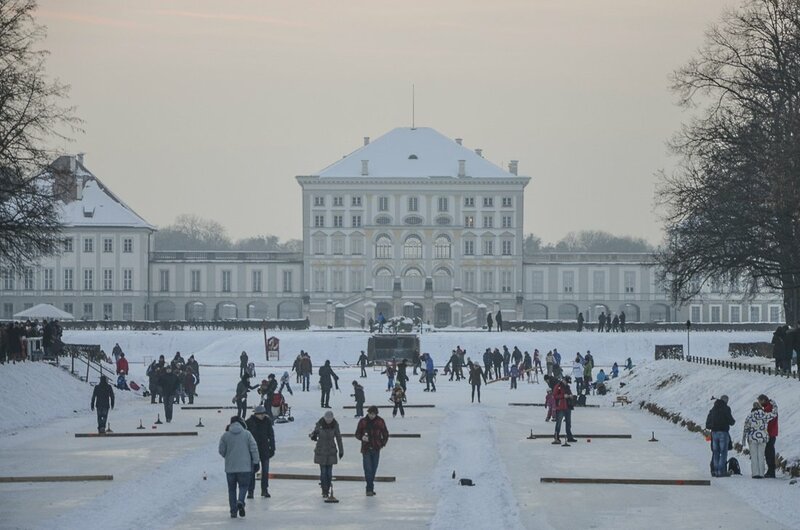 This park, our personal favourite in Munich together with the gardens of the Nymphenburg Palace (more about this one later), is today a cultural and social space with endless possibilities for everyone: from an open-air cinema and festivals in summer to sled rides on fresh snow and ice skating for the whole family in winter. While there, do not forget to climb the 56m-high Olimpiaberg for memorable views over not only the park but the city and the Bavarian Alps. Once at the top, take a minute to ponder the fact that you’re standing on tonnes of WWII rubble. Just around the corner from the BMW Welt MINI centre (follow the instruction in TripScout to reach this museum just outside Olympiapark) you’ll find the former Olympic city that housed each and every one of the athletes that took part in the 1972 games (their names still on signs all around the compound). Also, this is the place where the infamous massacre of the Israeli Olympic 1972 team took place. 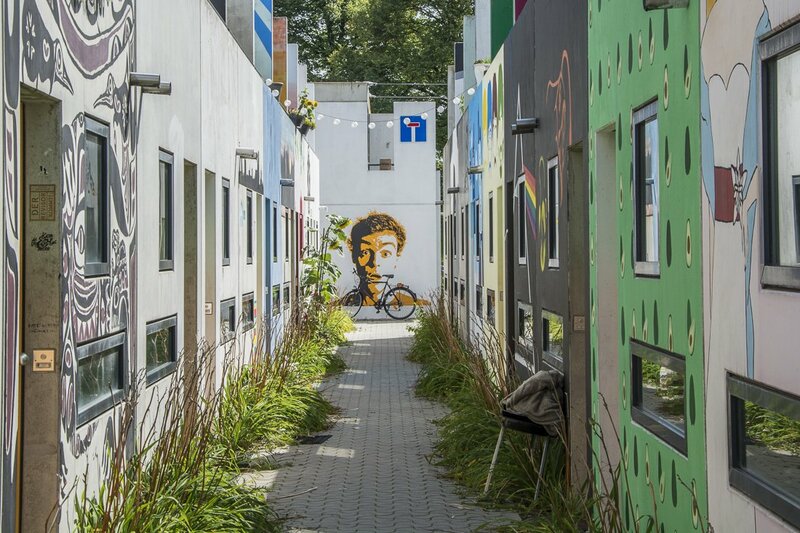 This area is now part of the accommodation offered to college students all over Munich and is also known for its colourful street art. 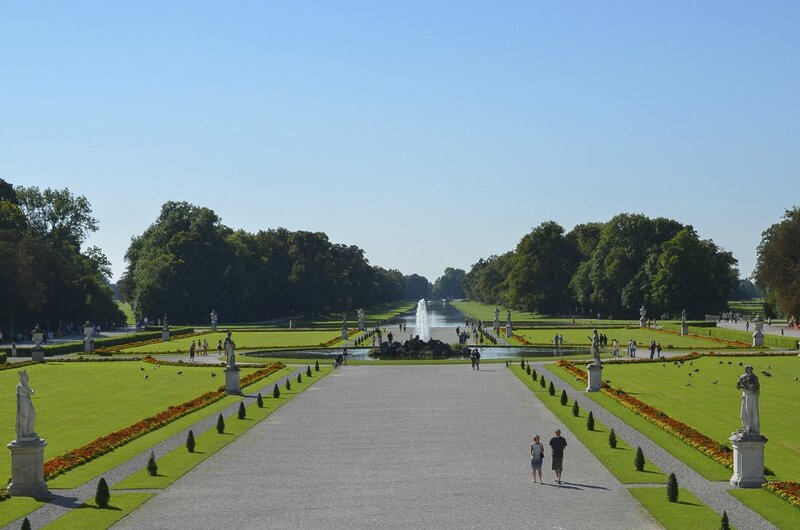 Another of our best-loved parks in Munich is just behind the gates of the baroque palace of Nymphenburg. Once more, a short tram ride and the instructions on TripScout is everything you need to reach them from everywhere in Munich. Once you pass through the gates of the palace you’ll feel immediately transported to the France in times of Louis XIII. 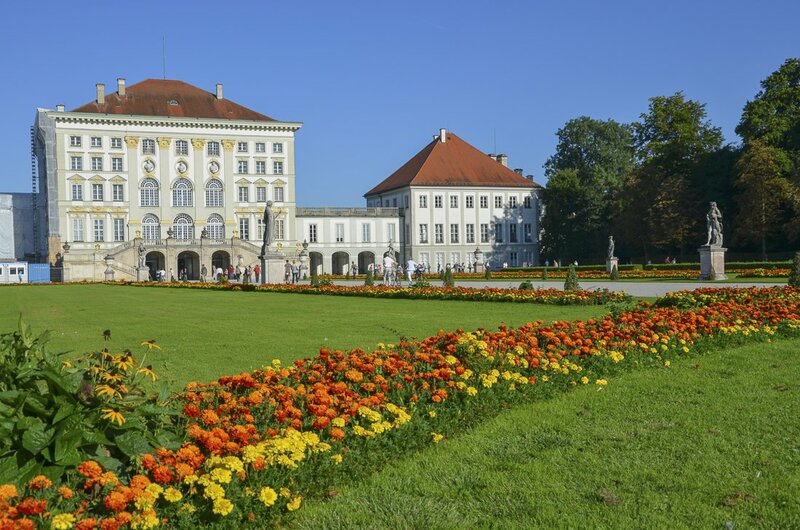 Only then you will understand why this palace and its gardens are dubbed the Versailles of Bavaria. The baroque gardens of the Nymphenburg palace. 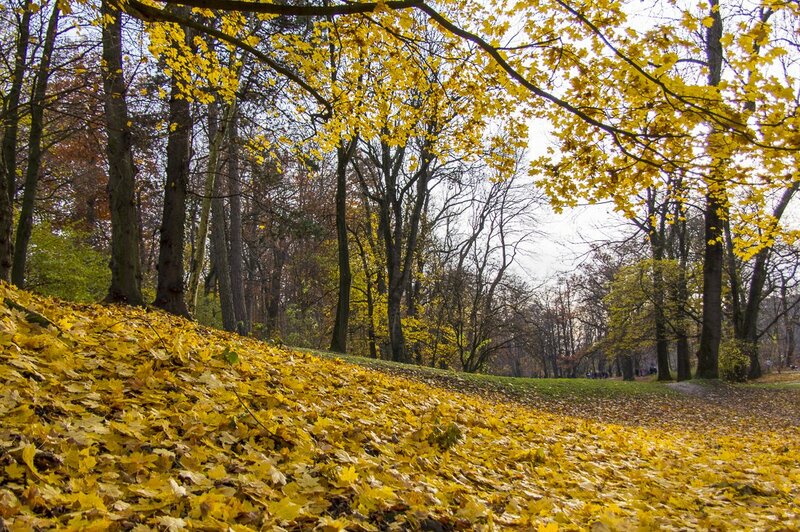 And if you think these gardens are off limits during the cold and snowy winter, think twice. Yes people, you can surf all year round in Munich. You only need to know where, have your wetsuit and board at hand and be ready to jump into rushing alpine waters when your turn comes. Or you can also join the crowd on the shore and be mesmerised with the acrobatics of the pros. 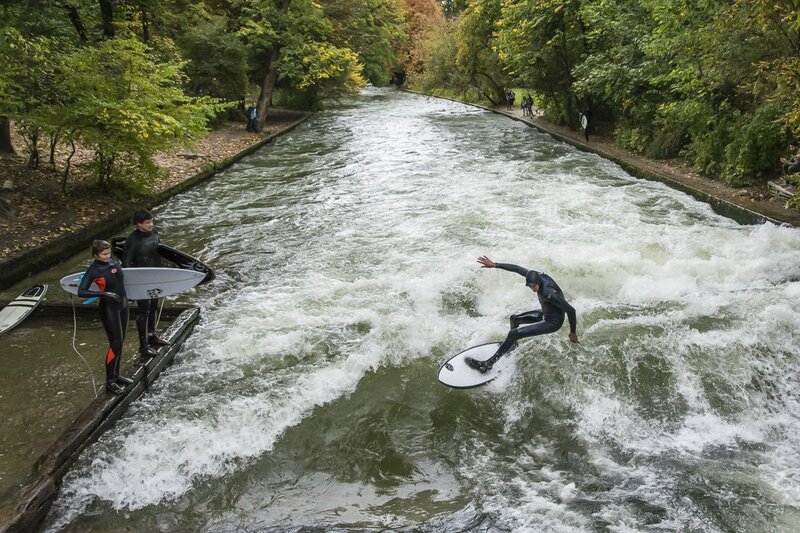 Esibachwelle (or the wave on the Eisbach canal in the Englischer Garten) means all-weather surfing fun for everyone in Munich brave enough to fight the freezing cold in winter and the exceptionally challenging thawed waters in summer. This stop should be in your plan when in town if you want to be surprised! Once more, the TripScout app will lead you to this point from wherever you are in the city, directly between Haus der Kunst and Bayerisches Nationalmuseum. While you are at it, you might also want to visit the last one to better understand the Bavarian folklore and culture. Keep reading, there is a reason why I left this one for the last. 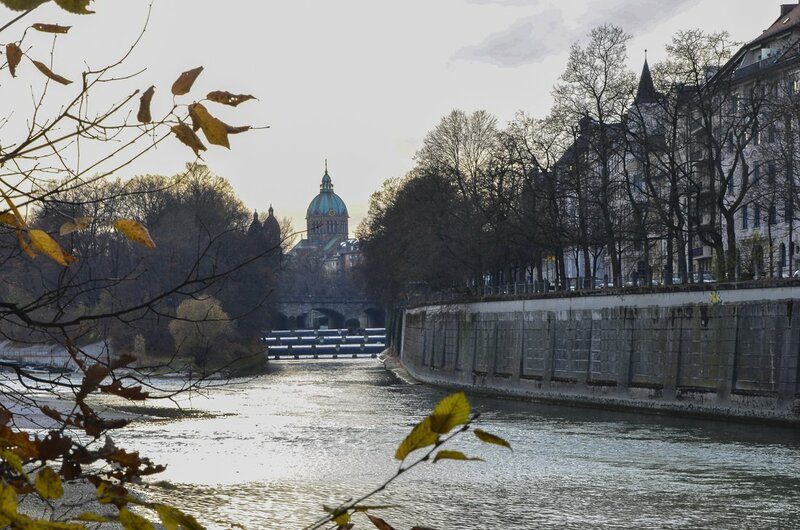 A short walk south-east from the Chinesischen Turm at the Englischer Garten will lead you to the other side of the Isar across the Max-Joseph-Brücke (Max Joseph Bridge). From there, there is a lovely walk south following the river bank. And here is the reason: this walk is very dear to Michelle and me, as it is where we first met. A very recommendable walk any time of the year but especially gorgeous during autumn with all foliage turning into warmer colours. Imagine landing at any airport in the world with a trustworthy and up-to-date local guide already in your pocket. That’s TripScout. And for our improvised exploring habits, this is gold! For a small fee per guide -cheaper than a regular electronic guide- you get GPS-enabler offline maps, curated content, audio guides, continuous updates,… and more. 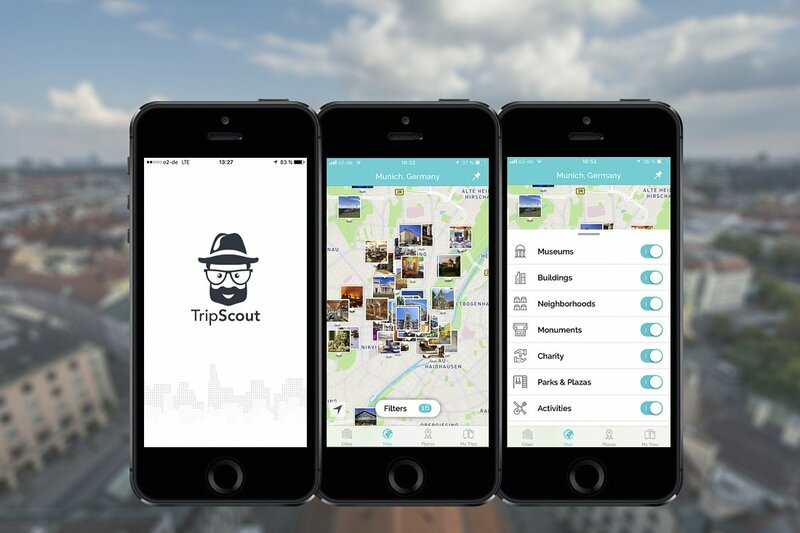 All these are features of the TripScout app, available for both Android and Apple devices. But what we love the most is being able to filter all that travel information goodness in TripScout and to display on the map only what we need at any time. You can display only eateries if feeling peckish or quickly find that museum you are looking for on the map. Konrad and Andy, the minds behind TripScout, are changing the travel game one self-guided tour at a time. FREE STUFF ALERT! Go check it out for yourself, download the TripScout app to your smartphone and use the code twocameras to download a city guide FOR FREE. Let the adventure begin! Would you add any of your favourite spots in Munich to this list? Is there any travel app you could not live without? Let us know and see you in the comments section! Disclaimer: This post has been written in cooperation with TripScout. However, the opinions and verdicts are our own as always. You cannot expect less from Two Cameras and a Bucket List! 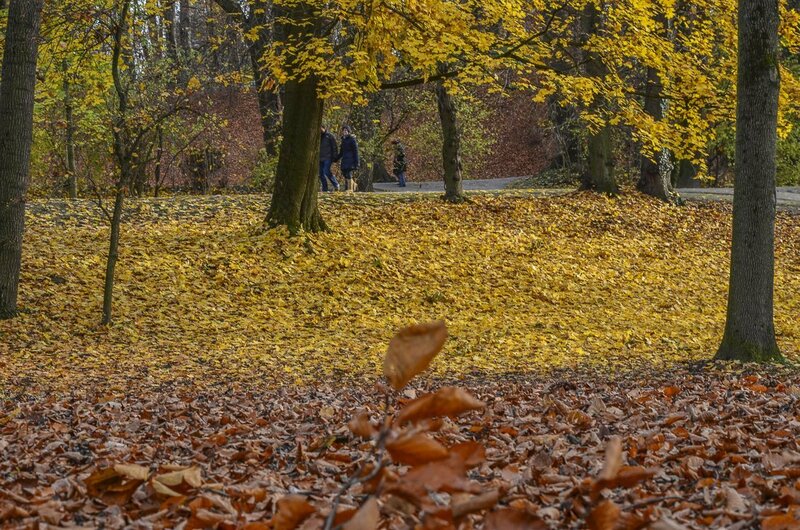 6 Comments on “How to Rediscover Munich with TripScout”. Join the Conversation Here! Really Awesome photography, You are Great. Thank you Nisha, much appreciated! Great pictures David and Michelle. I also like the wide layout of the blog.